My entire life changed when I was twelve years old and the Beatles came to America in 1964 which opened up the whole world for me. Their music turned me on so much that it was just like I had gone into another dimension. I understood the music and found it waking me up as though my previous twelve years I had been asleep. The first time I saw their photograph John Lennon struck me as someone unique. My girlfriends all were in love with Paul McCartney. I was not in love with John, but when I heard him in interviews I loved his wit and I bought his first book, “In His Own Write” and found his humor to be the same as mine. The music of the Beatles was magic at that time, and it certainly lit a fire under me that has not extinguished to this day. For those of you who were not alive when the Beatles blasted across America you will not easily understand the significance of their impact upon not only America, but the entire world. They changed our culture. The Beatles arrived in America just under three months after the assassination of President John Kennedy. This assassination had brought America into a massive depression and the fresh lively spirit of the Beatles was exactly what the country needed to boost itself. I was fortunate to see the Beatles perform live three times fortunately I was close to the stage the last time I saw them, and it was indescribable. It was a lasting memory. I followed the Beatles faithfully until their breakup and from there I continue to follow each one’s music. But as always John seemed to be expressing the feelings that I had. 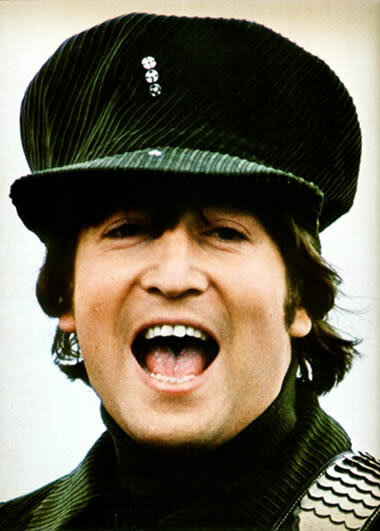 John was always the most outspoken, and, at one point in 1966, he was condemned in the United States because of stating that the Beatles were more popular than Jesus. He was not saying that they were greater than Jesus but just that their popularity extended farther. It was the truth at that time. From then on he received death threats and was told that he would be assassinated during their 1966 United States tour. This is one of the main reasons the Beatles stopped performing live. Fame was a great pressure on John, and he looked for other avenues to explore having conquered the world. He discovered LSD and used it to open up his creativity. From there he discovered meditation and went to India to practice and learn from a master. He met Yoko Ono, and they fell in love even though they were both married at the time. He felt Yoko was his soul mate, and they were together until the end of his life. They started a movement for peace and love. 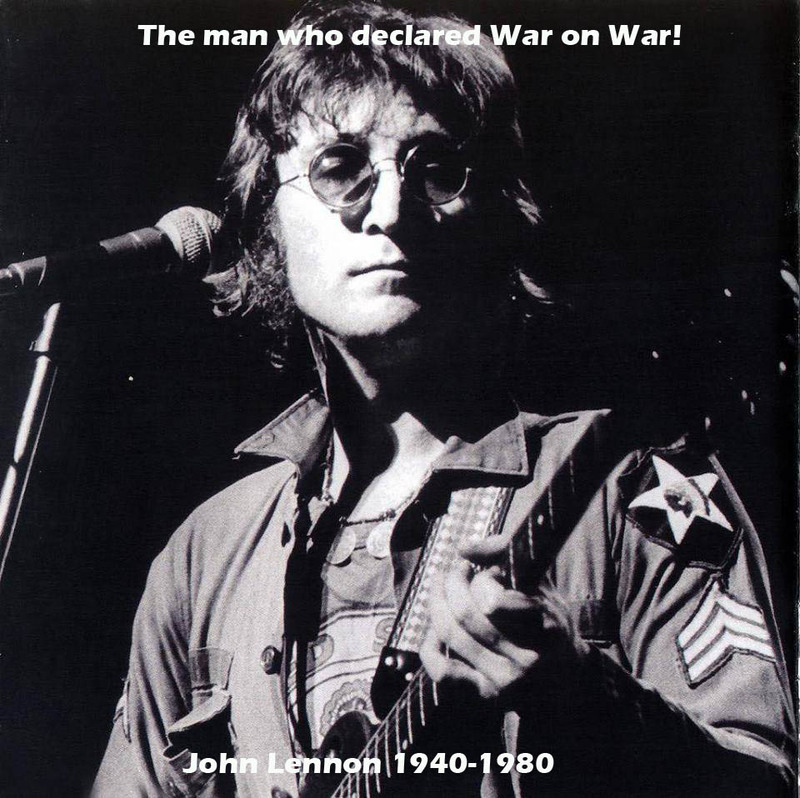 He gained new world recognition for his peace movement and his views against all wars. He expressed his views through his music and many people paid attention. His goal was to have people get along and follow the path of love and peace. For a time John went into seclusion, but in 1980 he was making a comeback with a new album, the first in five years, and ready to get back into his many causes. I want to remember all that he did in his short 40 years. He definitely kept me aware of what was going on in the world through his music and his peaceful demonstrations. He gave a voice to the consciousness that so many were feeling and unable to find the words or ways to express it. John did. Each year new people discover John Lennon for the first time. In Havana, Cuba, they have a wonderful bronze statue of John Lennon sitting casually on a park bench as though he is observing those who pass by. Recently a teenager asked me if I knew who John Lennon was. I just had to smile at that question. It’s hard to believe it’s been 35 years since John was assassinated, but his legacy will live forever and that speaks greatly for the man. Because John was only 40 years old when he died he will always be remembered young and I wonder what he would have been like at 75 years of age. He still would have been turning out fabulous music and art, just as Paul McCartney, Ringo, and George Harrison have done throughout the years. I continue to listen to the Beatles and John Lennon’s music and always enjoy it. I am thankful that I lived in the most exciting time there was the 1960’s and I was able to experience Beatlemania full on. 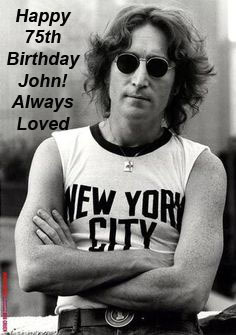 So Happy Birthday John and thank you for everything you gave us. You will always live in our hearts. Worldwide he is loved. His legacy will never be forgotten. 50 years of love from the Beatles to Us! It was 50 years ago today that Sergeant Pepper brought the band to play. Wow, I remember 50 years ago as though it was yesterday. 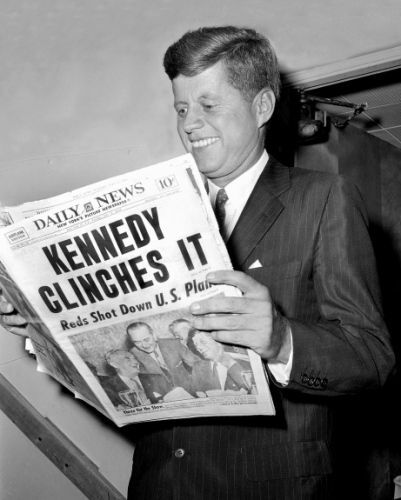 For those of us who were alive then we all know where we were Sunday night February 09, 1964. We were in front of our black and white televisions watching Ed Sullivan introduce the Beatles to America. My entire life changed at that moment when I was twelve years old and the Beatles opened up the whole world for me. Their music turned me on so much that it was just like I had gone into another dimension. I understood the music and found it waking me up as though my previous twelve years I had been asleep. For me the world became filled with colors whereas prior it had been only in black and white. For those of you who were not alive when the Beatles exploded across America you won’t easily understand the significance of their impact upon not only on America, but the entire world. They changed the way we dressed, looked, acted, spoke… and even our culture. The Beatles arrived in America just under three months after the assassination of President John Kennedy. This assassination had pulled America into a massive depression and the freshness and lively spirit of the Beatles was exactly what the country needed to revitalize itself. The power of their music was definitely inspired and I believe that the Divine Spirit was working with them, to deliver the message of love to the world. A world which was in such chaos in the 1960’s and still is today. The first time I saw their photograph John Lennon struck me as someone unique. My girlfriends all were in love with Paul McCartney. I was not in love with John, but when I heard him in interviews I loved his wit and I bought his first book, “In His Own Write” and found his humor to be the same as mine. I was fortunate to live in Los Angeles and saw the Beatles in person three different times. It was a lasting memory. I followed the Beatles faithfully until their breakup and from there I continued to follow John and George’s music. But as always John seemed to be expressing the feelings that I had. What inspires so many people about a lot of the music of the Beatles is, I think, that it makes them feel happy. It’s fantastic music and it evokes good feelings. She Loves You! Sergeant Pepper’s Lonely Hearts Club Band! Hey Jude! Such enjoyable songs that inspire people around the world to join in and sing along with John, Paul, George, and Ringo. I am glad that I was alive to experience Beatlemania full on as a teenager. Not only does their music bring me pleasure, but it reminds me of a time when my life was easier and more simple. I was safe and protected by my parents. My parents were quite special as they took me to the Hollywood Bowl to watch the Beatles the first time in 1964 and they waited patiently outside for me and they did the same the next two years that the Beatles came to Los Angeles. So I send out all my loving to John, George, Ringo, and Paul for all that you contributed to my life and to the world. We love you yea, yea,yea,yea! For those of us who were alive in 1963 we can never forget Friday November 22, 1963. President Kennedy was greatly loved by so many and it was unbelievable that he could be cut down so quickly. I was twelve years old and in junior high school when the announcement came over the intercom stating that the President had been shot. Everyone in the class got very quiet. Not much was said. An hour later the announcement came that the President was dead. It was difficult to believe because he was such a likable man. The teachers started crying and yet we stayed in school. Back then in Los Angeles California they didn’t send us home, even when it was a major tragedy. That afternoon when my mother picked me up at school I asked her if she had heard about the president being dead, of course she had. All of us as a nation stayed by our television or radio and watched and listened to all of the events and information as it came through. The funeral was one of the saddest moments of my young life. I posted a memoir yesterday about my getting to vote for John Kennedy in the election because he really was dynamic. He brought vitality into government. Prior to him running for president all of government seemed boring to me. He made me want to become involved in my country and helping others. One of the great legacies he left behind was the Peace Corps, which to this day still helps people in other countries as well as helping Americans understand other cultures. His speeches were so profound and they were recorded and made into records and I bought each one of them as they were released. To this day his speeches resonate with people. President Kennedy inspired all of us young people to be better than we were and I think that is a beautiful legacy to leave behind. Amazingly his death had been predicted hundreds of years previously by the great prophet Nostradamus. “The great man will be struck down in the day by a thunderbolt. President John Kennedy was shot shortly after twelve noon 50 years ago in Dallas Texas. In Nostradamus day guns had not been invented so it makes sense that he would see it as a thunderbolt. Jeane Dixon, one of the foremost prophets of modern times, earned international notoriety for predicting JFK’s assassination as early as 1956. The last month before he was killed she repeatedly tried to get the message to him to be careful that he was about to be assassinated. I believe the “bearer of the petition” was Ms. Dixon. Nostradamus may have chronicled her unsuccessful attempt to forewarn the president. Nostradamus was an incredible prophet, it is amazing to see how he visualized something centuries ahead and it points out that some things are destined to happen. For me it seems like these events happened yesterday. 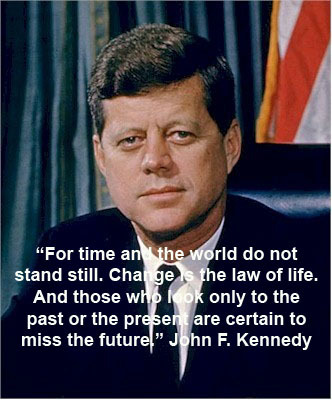 I would like people to remember what a great impact John Kennedy had upon the American people. Generations that have followed cannot quite understand what he represented at the time. There will never be another one like him. God Bless You Mr. Kennedy! I was excited to be going with my mother to vote before elementary school. It is November 1960, and I was nine years old, and the presidential race has been very heated. Richard Nixon the current vice president is running against John Kennedy. My parents are backing John Kennedy for President. He is controversial because of being Roman Catholic and very young. I really like John Kennedy. He looks and acts so exciting. He has a beautiful young wife and a daughter. He is nothing like boring old President Eisenhower. Every day in social studies we had to read about Eisenhower. My friend, Shirley, had been teasing me for many months about John Kennedy. Shirley would sing, “Nixon’s in the White House ready to be elected. Kennedy’s in the trash can ready to be collected.” Shirley would sing this over and over in a mocking tone. Whatever my parents think is right is what I believed. Television is my best friend, being an only child, and every day I would see famous movie stars talking about John Kennedy. So I am positive that he would be the best president the country had ever seen. How could Frank Sinatra be wrong? “Okay.” Carefully I ink the stamp and place the X in the box for John Kennedy. “That was so exciting. Is he now president?” I asked my mother. “No, we have to wait for all the votes to come in. We won’t know until tomorrow who is elected president. Don’t tell anybody that you placed this vote. This will be our secret.” Together we exit the booth. Mama places the envelope through a slot in a secured box. She then takes me to school. First thing the next morning I see on television that John Kennedy has been elected president. I felt great pride in the fact that I had voted for him. I was excited to be living in the greatest country in the world with a dynamic young new leader. I wanted to share this precious memory in recognition of the 50th anniversary of the assassination of President John Kennedy. I am grateful that he graced our planet. In Memory of John Lennon’s 73rd Birthday! October 09, 1940 one of the great voices of the world was born. John Lennon always spoke his mind and was a true voice that we needed so many years ago. His words are still valid today. I was fortunate to live in Los Angeles and saw the Beatles in person three different times. It was a lasting memory. I followed the Beatles faithfully until their breakup and from there I continued to follow each one’s music. But as always John seemed to be expressing the feelings that I had. December 08, 1980 I was at the Los Angeles Forum watching the Los Angeles Kings play a hockey game. Suddenly I felt I had to leave the building quickly and as I was walking out one of the guards asked me if I had heard and I thought he meant the hockey score, and I said yes I had heard. When I got in my car I turned on the radio and a Beatles song was playing. When it finished the disc jockey said, “In memory of John Lennon who was shot to death this evening.” I couldn’t believe what I had just heard. I kept changing stations to get more information about what had happened. I could not stop crying and all I did was drive home quickly. It was unbelievable that a man who had tried so hard to stop the war and bring people together with peace and love had been killed by an assassin. Of course I watched the news on television and went to bed with a sense of great loss because John Lennon represented so much of my life. The next day I went to the Redondo Beach Pier and set staring at the ocean where I said my goodbyes to John for all he had brought into my life, and I released him into love and light knowing that he was already there. I did not grieve for John because I know that our fate is pre destined. Also I know that there is a spirit world and he is there. I continue to listen to the Beatles and John Lennon’s music and always enjoy it. I am thankful that I lived in the most exciting time there was the 1960’s and I was able to experience Beatlemania full on. It’s hard to believe it’s been 33 years since John was assassinated, but his legacy will live for ever and that speaks greatly for the man. Because John was only 40 years old when he died he will always be remembered young and I wonder what he would have been like at 73 years of age. He still would have been turning out fabulous music and art, just as Paul McCartney, Ringo, and George Harrison have done throughout the years. In Memory of John Lennon’s 72nd Birthday by Cherokee Billie. It’s hard to believe it’s been 32 years since John was assassinated, but his legacy will live for ever and that speaks greatly for the man. Because John was only 40 years old when he died he will always be remembered young and I wonder what he would have been like at 72 years of age. He still would have been turning out fabulous music and art, just as Paul McCartney, Ringo, and George Harrison have done throughout the years. In Memory of John Lennon’s 71th Birthday! It’s hard to believe it’s been 31 years since John was assassinated, but his legacy will live for ever and that speaks greatly for the man. Because John was only 40 years old when he died he will always be remembered young and I wonder what he would have been like at 70 years of age. He still would have been turning out fabulous music and art, just as Paul McCartney, Ringo, and George Harrison have done throughout the years.